To furnish means to give a sense to one's world, to transform the space in which one lives into a piace that is suited to one's life style. To translate the space in one's home in this way becomes something more than just choosing pieces of furniture to "fill in" the living context that frames one's daily Ilf The home nowadays has become a private space, both intimate and emotional. It is lived in like a metropolitan oasis where one can find refuge and dedicate time to oneself, to one's interests, one's hobbies. 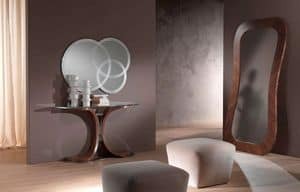 So the choice of furnishings has become a mirror in which to reflect oneself, to give lif to scenery where one feels good, both with oneself and with others. 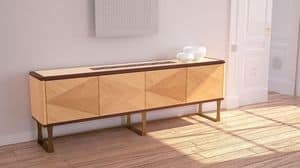 For this reason pieces of furniture are nowadays so important for defining, often on first sight, the character and life style of the person who chose them. 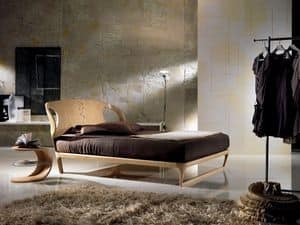 Carpanelli's Contemporary Vision Collection is made up of pieces of furniture of great personality, born to be chosen by people who know what they want and what they are looking for. 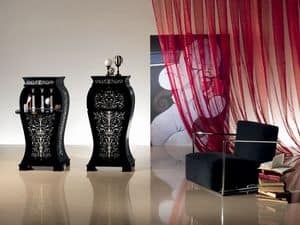 They are objects which not only answer the pureIy functional needs of furnishing but also aesthetical desires and a wish far uniqueness. 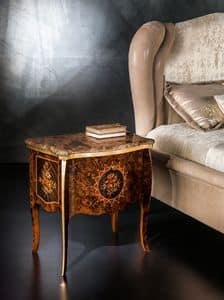 It is a collection of exclusive objects which are both seductive and fascinating, which create emotions. It is a series of proposals of unusual lines, original and strongly characterized with refined finishes which are often surprising. 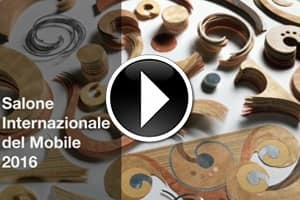 This is the result of a perfect match of refined cabinet-making and advanced technology, of great artisan ability and a deep knowledge of techniques, often innovative, for the working of materials. 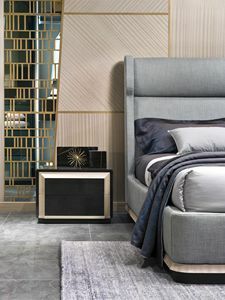 Carpanelli has chosen to undertake this variation in its course with the aim of responding, always in the best possible way, to the multiple needs of good living. 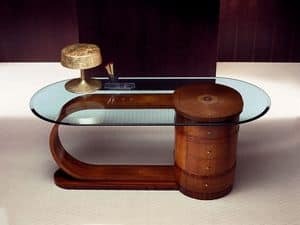 This was a precise, determined choice, made by Giuseppe Carpanelli, the designer, who wishes to interpret in a new key the fundamental aspects of daily living in this day and age. 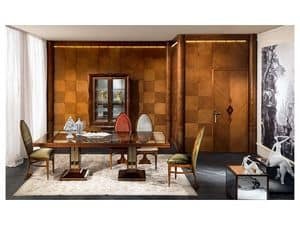 He does not wish to leave the long history of artisan tradition and of high class cabinet building which made Carpanelli's name famous all over the world, but rather to carry it on in a different way but which is at the same time consolidated. 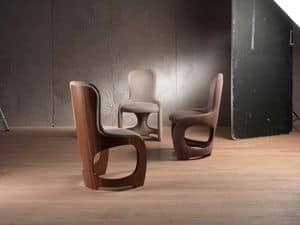 Innovative line and different tonalities make for objects which are unchanged regarding their quality and content. 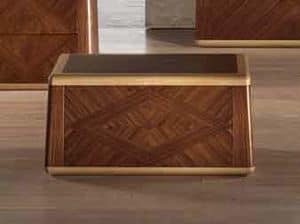 Made with precious woods and enriched by beautiful handmade inlays or coming in finishes of strong, definite colors, the Contemporary Vision collection combines contemporary the innovation of a contemporary design with the classic foundations of furnishing, each time transforming the conventional into something extraordinary.